Was down at the Hatchery & Rearing Ponds this morning. The water running through the hatchery trays is running clear – Wullie & Graeme were hard at work cleaning the trays & checking the health of our little babies. The consensus is that this year we will see Alevins hatch from the eggs as early as mid week – which is much earlier than normal. The fact that the average water temp this week is averaging 6c is a contributing factor – which is very high for this time of the year in an upland burn. Was also keen to add a link to the “Unfamous Fly” Blog & say thanks to Ken for once again his kind words about the Associations efforts to improve the Angling in the Strathaven area. 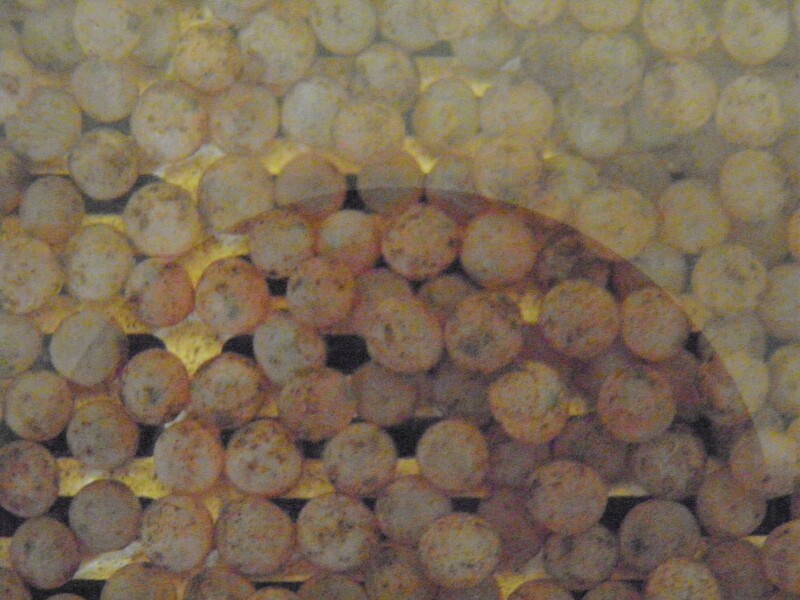 Look forward to updating you all with the latest news on our Trout Eggs. Please see the picture below & below that a short video of the Trout being fed in our main rearing pond on Saturday 070112.